Actually, both terms are the same thing, they refer to a shop or shops that sells items for 100 yen. 100円ショップ （ひゃくえんショップ – hyaku en shoppu） means “100 yen shop” (Yen is pronounced “en” in Japanese). 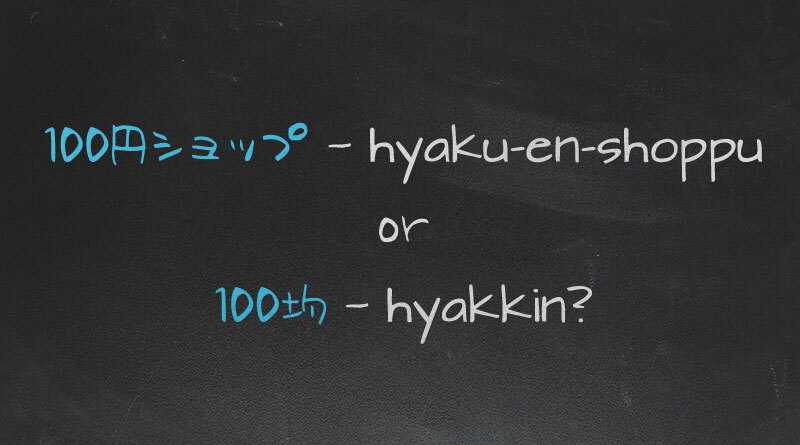 100均　（ひゃっきん – hyakkin）, which is short for 100円均一（ひゃくえんきんいつ – hyaku en kin itsu） means “100 yen for each item”. If you read Japanese, this site shows the 100 yen shop searchable by prefecture. Not all prefectures are covered though.